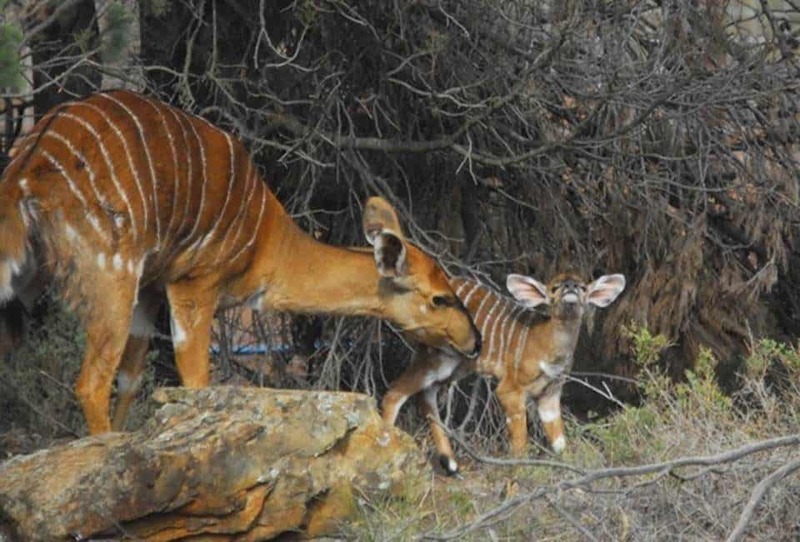 Monarto Zoo is busy celebrating the birth of two adorable Nyalas – one boy and one girl. Born in late February and mid March, the two youngsters were welcomed to mums Zuri and Thandi within three weeks of each other. Keepers have been monitoring the newborns closely and say all is going with well within the herd. It’s common for young antelopes to shelter in nearby grasses and bushes for the first few weeks of their life. The little girl, born in March, has briefly been seen following her mum around before quickly hiding again behind the nearest bush or tree stump. The boy, who was born earlier in February, is more confident and sometimes joins the group as they graze around their exhibit. Both mums are incredibly calm and attentive and happily leave the babies in a safe place while they eat and check back every so often to feed them. Thandi is an experienced mum already after giving birth to a male calf in June 2018. 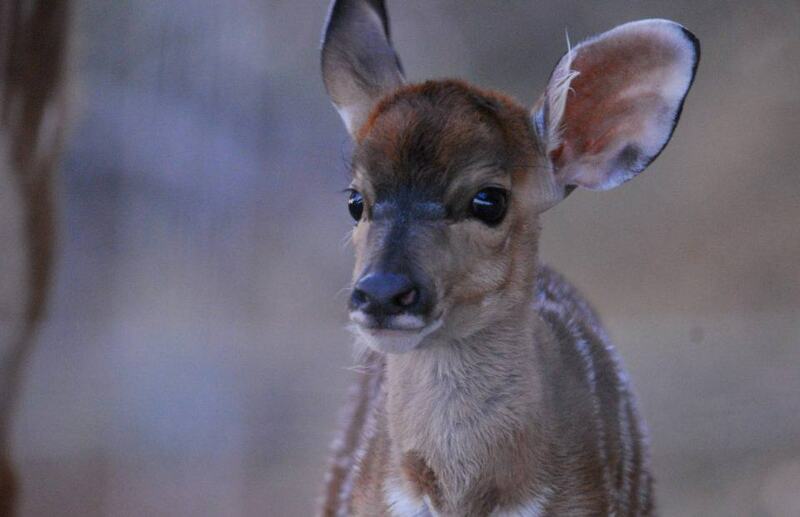 The super sweet Nyalas are growing very quickly so it won’t be long before visitors can catch a glimpse of them near our Giraffe in the Waterhole exhibit. Nyalas are amazing antelopes known for their sexual dimorphism, meaning males and females of the same species look incredibly different. Both female and young Nyalas have a chestnut brown coat and white markings on their torso, legs and cheeks. Adult male Nyalas are dark grey and have very shaggy coats and impressive twisted horns. Race into Monarto Zoo soon to welcome the calves to the wild family!